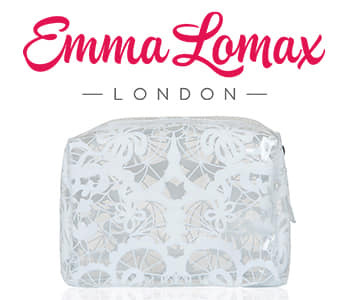 The Emma Lomax SOS Wedding and Hen Kits feature a collection of must-haves to make sure she blushes on her special day for all the right reasons. The perfect gift for a bride-to-be and her bridal party, this hand embroidered collection of thoughtful gestures will make her day run extra smoothly. From spare flat pumps for when her feet have given up on wearing heals to naughty dare card games for her last night as a hen, let the Emma Lomax Wedding Kit be her ‘something new’ on the day of her nuptials.